Are you living with crooked teeth that diminish the appearance of your smile? Did you wear braces when you were an adolescent? If so, you may remember the discomfort that came along with metal brackets and wires, or all the foods you had to avoid to protect your braces. If not, you may not feel comfortable wearing braces as an adult with a busy schedule and clients to interact with. 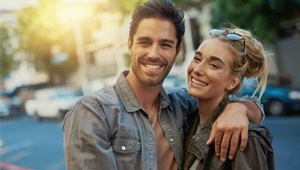 has a solution that can help you align your teeth and correct your bite, which not only will boost your confidence, but also help protect your oral health. When teeth are misaligned, they are harder to brush and floss properly, which increases your risk of developing concerns such as gum disease or cavities. 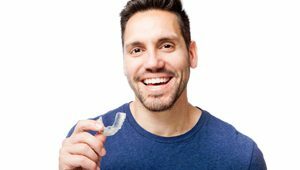 ClearCorrect uses custom plastic aligners designed to fit snug and put gentle pressure on your teeth to move them gradually like braces would. You should wear your aligners for at least 22 hours per day to achieve the best results and you’ll get a new set every three weeks. Depending on your specific needs, most ClearCorrect cases can be completed in 12 to 18 months. What Are the Benefits of Choosing Clear Correct? Since aligners are removable, there are no changes to your diet or home care routine required. The aligners are smooth and comfortable to wear so there is no worry about pokey brackets or wires. 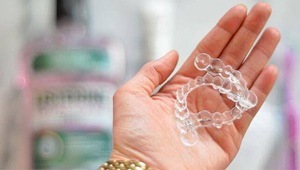 ClearCorrect aligners can be changed at home so treatment doesn’t require as many visits to your dentist. While ClearCorrect works well for many patients, it can’t correct complicated bite issues. At Boyles General Dentistry & Implant Center, our dentists are certified providers of ClearCorrect and they can determine if this treatment is right for your needs during a commitment-free consultation, where you’ll learn more about this innovative treatment and how it can benefit you. The cost of ClearCorrect varies with each case depending on the length and complexity. However, treatment with ClearCorrect is typically comparable in price to traditional orthodontic treatment. Dr. Boyles or Dr. Etheredge can let you know exactly what your treatment will cost during your consultation. 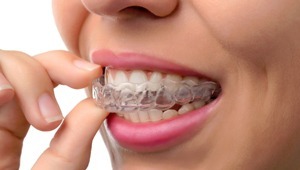 If you have dental insurance that includes an orthodontic benefit, it can be used towards treatment with ClearCorrect. We also offer convenient options for financing your treatment that will allow you to comfortably fit ClearCorrect into your budget. Contact Boyles General Dentistry & Implant Center today to schedule your consultation.